When I first read that we can prevent heart disease with a simple change in our diet, I was intrigued. I came to veganism because I loved animals and couldn't bear to do them any harm; the health benefits were a side effect for me. I was drawn into the lifestyle by the overwhelming facts about the benefits of a vegan diet, among them the incredible increases in energy, decreases in body fat, and, as I learned, the chance to avoid degenerative diseases that I once believed to be inevitable parts of growing older. I thought genes eventually trumped everything else. During that time of research, I stumbled upon Prevent and Reverse Heart Disease: The Revolutionary, Scientifically Proven, Nutrition-Based Cure, by Dr. Caldwell Esselstyn and learned that food alone can prevent and sometimes cure degenerative diseases. After reading this book, the only question that remains for me is... why didn't I already know this? Heart disease is the single biggest deadly disease in the United States, and it affects women and men equally, but it still isn't common knowledge that we have the ability to prevent heart disease. Isn't cancer supposed to be incurable? Don't you need double, triple, or quadruple bypasses once your heart disease progresses too far? 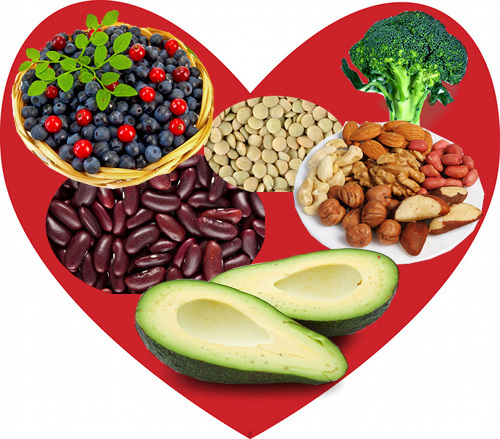 Eating a healthy, low-fat, high fiber, high healthy carbohydrate diet will help you prevent heart disease and avoid many dangerous illnesses that might have seemed inevitable. Even if your family has a genetic history of a certain disease, you will need to trigger those genes with an environmental factor in order for them to occur. One of the biggest environmental factors that triggers genetic disposition for a diseases is diet. If we can avoid pushing the red button that is our personal trigger for illness, we should be able to avoid "getting" the illness. The best things to eat include vegetables (especially dark leafy greens), fruits, whole grains, beans and legumes, and nuts and seeds. If you're suffering from heart disease, cancer, diabetes, or another serious illness, it makes sense to lower your intake of added oils and sugars and keep your diet as whole as possible. If you're used to eating meat and potatoes and don't enjoy the flavor of vegetables, it might just be the time to start adapting your taste buds to something new, especially if you're at high risk for developing degenerative diseases or if you're already suffering. This little secret is that magic pill to cure illness we've been waiting our entire lives to see. Though it's a book that reports scientific research and does use some technical terms, I found it pretty easy to read because it was so interesting. At the time, I was pretty blown away by the idea that diet alone could have such a fundamental impact on our chances for getting major illnesses. Dr. Esselstyn's book proves that you can prevent heart disease by adopting a healthy, whole-foods, vegan diet into your life. The China Study is one of the best known books on plant-based nutrition research, and Dr. Esselstyn is widely discussed in the book. Dr. Dean Ornish treated heart disease patients with a lifestyle diet change and found that when they ate a plant-based diet, the clogs in their arteries got smaller, which means that their heart disease was reversed. The American Dietetic Association (ADA) found that vegan diet had more positive affects on diabetes than the diet recommended by the American Dietetic Association. Whoops. Dr. James Anderson found that by eating this same type of diet, based on whole plant foods, diabetes patients were able to minimize or completely eliminate their need for insulin medication. Diet helped patients suffering from Type 1 and 2 diabetes, which was incredibly exciting because now we know it's not just an inherited disease.